Now that I have your attention, meet sea-buckthorn. A prickly deciduous shrub that has grown wild in China, Mongolia, Tibet and the Trans-Himalayan zone of India for many million years. Said to contain over 250 bio-active ingredients, it is today feted as the ‘Most Perfect Plant in the Whole World’. For long, visitors to the Ladakh & Spiti regions will have seen its optimal use as a thorny keep-out around homes and fields; and fuel. Though traditional healers have always known of its wondrous qualities (credited as it is with treating many hundred diseases); that it is anti-cancer, anti-radiation & anti-aging is a wisdom of recent vintage. I was recently introduced to it’s edible avatar by Ishita Khanna of Ecosphere, who is working closely with local communities – women being major stakeholders – to resuscitate what a decade ago was a fast depleting super food. The common variety favours dry and sandy regions with a hearty dose of sunlight. It shuns the shady company of larger trees & is usually found along river banks, at least in Spiti. 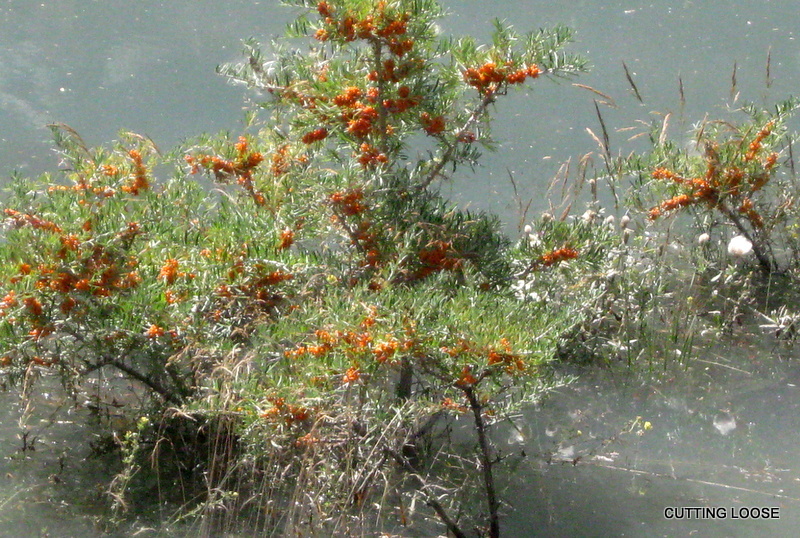 A mention in Greek mythology suggests that Hippophae rhamnoides (its formal moniker) may also have found salt-sprayed coastal Europe congenial enough for sinking roots. Legend has it that the plants leaves were the preferred food of the mythical winged horse, Pegasus, and were quite literally the wind beneath its wings (due apologies to Ms Bette Midler). 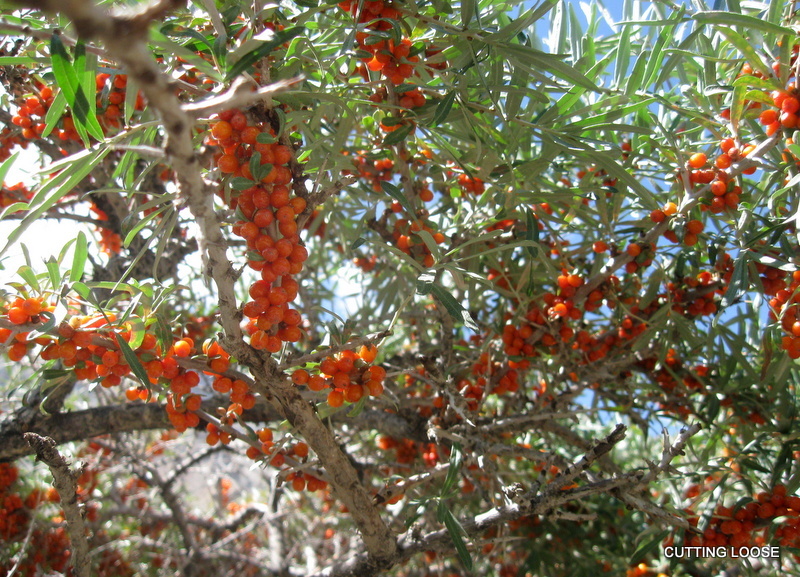 The Mongols, too, will have you believe that Genghis Khan credited seabuckthorn with giving his armies the incredible strength and endurance they required to conquer his enemies. Who, then, are we to disagree ? 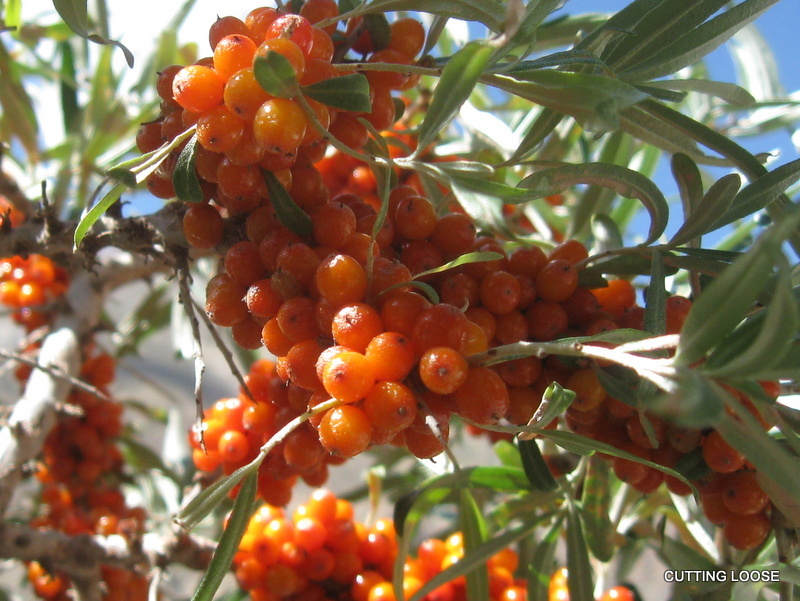 Read here for more details on the sea-buckthorn’s unsung healing powers. I remember some 6 years back Ladakh Foods Ltd. and SFAC had come out with a juice pack called “Leh Berry” from the seabuckthorn which was availble for some time in mid to high end shops in Delhi. Its been a couple of years since I’ve seen it on store shelves and I believe the reason was becoz of competition from China. The juice had a unique flavor and was quite popular at the time. The plant also grows very well in Arunachal and Ladakh is today the biggest producer in the country. That’s right. I’m told it was a Defence Research & Development Organisation initiative, much awarded, to develop a tasty health drink that did not freeze in sub-zero temperatures where many troops are stationed. Is it possible that the puritans in the Medical Corps may have thought otherwise, hence it went Missing In Action ?